Pappageorge Haymes Partners (PH) is pleased to announce the promotion of Ron Weber, AIA, from Senior Project Architect to Associate. Since joining PH in 2011, Ron has worked on several of the firm’s most visible projects, including key roles on Waihonua at Kewalo in Honolulu, Hawaii, Wolf Point East, currently under construction in Chicago and Christopher House Charter School on Chicago’s Northwest Side. 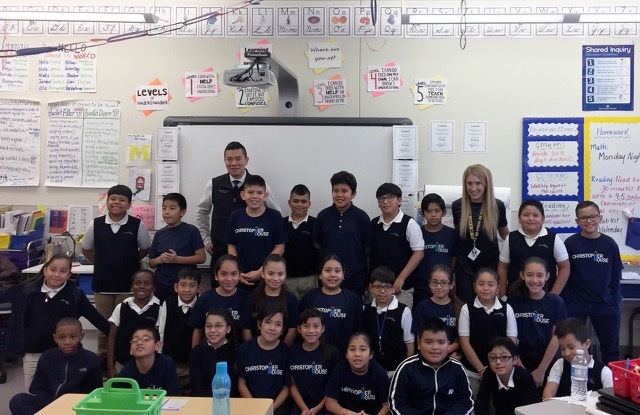 Ron’s deep professional commitment is also reflected in his active community involvement, which includes a recent appearance at Christopher House Charter School’s Career Day event.